The experience of participating in a startup is both thrilling and challenging. I was fortunate to be invited onto a team of 15 people in the late 90s. It was the kind of environment that allowed for, no– required innovation, independence, agility, and results. Friday Afternoon Club made up for the fact that we brought our own chairs and worked 16-hour days (often over weekends). When we did get breaks, we talked about how our lives would change once our stock options fully vested! Pivot Quickly: William Wrigley, Jr., who moved to Chicago with only $887 (in today’s dollars), added a can of baking soda to every sale of soap. He then realized he was getting more orders for baking soda, dropped the soap and added chewing gum as an incentive to every sale. Of course, you already know how he pivoted yet again. He began selling his new best seller, the number one selling gum in the US: Juicy Fruit. Think Like a Competitor: Chris Barton of Shazam, originally developed the concept of identifying music by cross-referencing radio station play lists. While considering ways a competitor might leverage that same technology, he asked, “What if someone could identify the song using the actual sound of the music captured…” He “knew immediately that this was going to be magical!” Apple agreed, the purchase of Shazam for $400 million was finalized in September 2018. Other not so secret advice incudes following a passion like Disney, who loved to draw cartoons. Or finding a niche like Coulombe, who’s Trader Joe’s motif elevated his food market concept. Regardless of the foundation story, every successful startup has one! Whatever came of the startup I help build? It was sold for $2.7 billion! To this day, a brick with my name on it is still warmed by the afternoon sun in Denver’s Technical Center. To this day, innovation, independence, agility, and results still define some of my favorite guiding principles. * References: 10 Ultra-Successful Millionaire and Billionaire College Dropouts, 16 Founder Stories Behind Famous Companies, The Story of Shazam: The Startup Days, 10 Fortune 500 Companies That Started With Next to Nothing, and William Boeing. 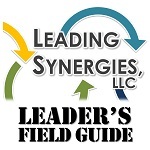 The post Startup Secrets appeared first on Leading Synergies, LLC.